My goal for the end of 2015 was to reach 10k Twitter followers and, in fact, it looks like I'm going to reach it by the end of September. If there's something I feel confident about, it's picking up Twitter followers. Of course it's not all about the numbers but, let's face it, we all get a little boost when somebody follows us. Besides, the more people follow us on Twitter, the more people check out our blogs and isn't what we all want, if we're really honest? SHARE LINKS One of the easiest ways to get yourself out there is to share links to your blog with the relevant hashtags and a photo. People can see straight away if you appeal to them and it has the added bonus that they're more likely to click over to your blog. There are Twitter chats every night of the week (slightly outdated timetable here) and there are always new people taking part. Take an active part in the chat and join the conversation, rather than just answering the question and leaving it at that. I try to talk to at least one new person in every chat. It's just nice to welcome them, especially as chats can be quite intimidating at first. Awesome info! 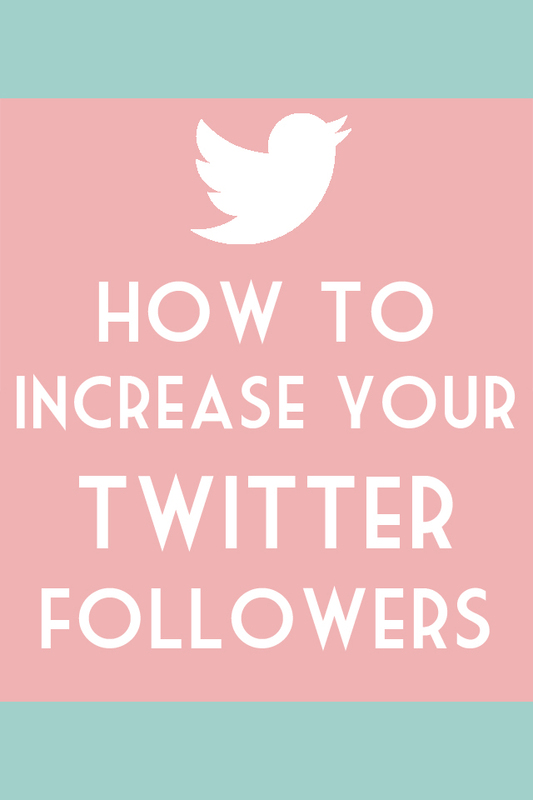 Twitter has proven to be my best source of traffic next to Facebokk groups! Who on *earth* would send rates to someone who asked them a question? Goodness me, the inflated sense of self of some people on the Internet is completely mad. Really useful guide as ever, Becky! This is such a useful post! I'm so bad with remembering to use twitter even though it's such a useful platform, this is helping me get right back in! Really great advice! I definitely notice a difference in my followers between the weeks that I'm really actively following new people and interacting and the weeks when I barely share anything. Great advice Becky! I've definitely noticed an increase when I join in the chats regularly! They're such a good way to find people to talk to. Sharing is something I'm trying to do more, but often forget... I'm working on it aha! Great advice, and congrats on reaching your target for the year!